The latest Windows 10 version is out. The Famous Windwos 10 version 1809 October Update 2018 is here. The Windows 10 1809 Language Pack is here and you can download and install these languages on your Windows 10 Desktop and Laptop Computers. With these updated changes. 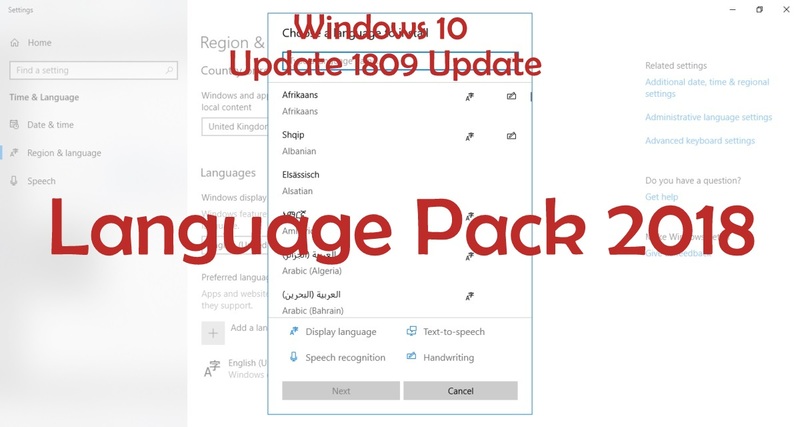 The new Windows 10 version 1809 Language Pack has all the direct download links for available. Windows 10 has multiple languages support that allows users from different regions and countries to install Windows 10 OS in their local language. Previously, Microsoft used to offer free language packs for Windows 7 or earlier OS system, however, from Windows 8 onward it costs users to purchase Windows language pack. 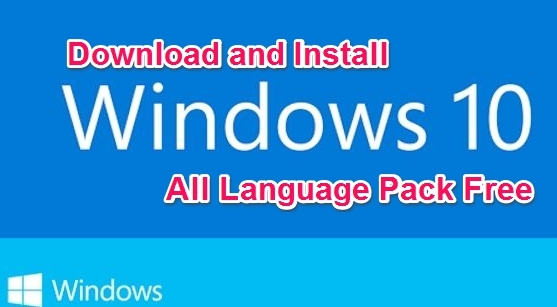 Thankfully, there’s a way of getting free Windows 10 language pack which you can download directly onto your PC and see how to install Windows language pack manually using the steps in the guide below. You can clean install Windows 10 on your desktop/laptop using Windows 10 ISO direct download links or upgrade PC to Windows 10 from Windows 7 or Windows 8. After installing or upgrading to Windows 10, first thing that you need to do is to install a language pack to set your preferred, first language as the main language of Windows 10 operating system. Here we have shared all direct download links for Windows 10 language pack on 32-bit and 64-bit PC build versions. The Windows 10 Build 1809 language pack has two variants: first is the full language pack which changes the language of entire Windows 10 OS into your desired language. And the second language pack for Windows 10 is the one call language interface package that only changes the input language of your OS to enable you to write in multiple language on one PC. See the steps below to install Windows language pack on Windows 10 PC desktop/laptop (32-bit & 64-bit). 1 – Head to Settings > Time & language > Region & language. 2 – Click on the Add a language option. 3 – Select your desired language and then select the region version of the selected language. 4 – Hit the OK and wait for installation to complete. Windows 10 language packs in the links above are in .cab file format. In order to install them manually, see the steps below. 2 – In the RUN box, type lpksetup and press enter. 3 – Click on the Install display languages option. 4 – Find the downloaded .cab file and select it from the location where you saved it on PC. 5 – Now hit the Next button and wait for the language pack to install in Windows 10. In order to verify whether the installation has been successful or not, go to Settings > Time & language > Region & language. Your installed language should be on settings window. Your Windows 10 PC should now have the language of your liking. If you are still facing issues in downloading or installing Windows 10 language pack, send your comments below.